The Board of Control for Cricket in India (BCCI) president Jagmohan Dalmiya could be asked to step down on health grounds and the board could have a new chief after the Annual General Meeting in September, according to a report in The Indian Express. Veteran cricket administrator, Dalmiya, is not keeping well for some time and many BCCI members feel the 75-year-old needs to step down to ensure the smooth functioning of the board, the report said. Former ICC chairman Dalmiya returned for his second stint as BCCI chief following a gap of 10 years after he was elected unopposed in March. 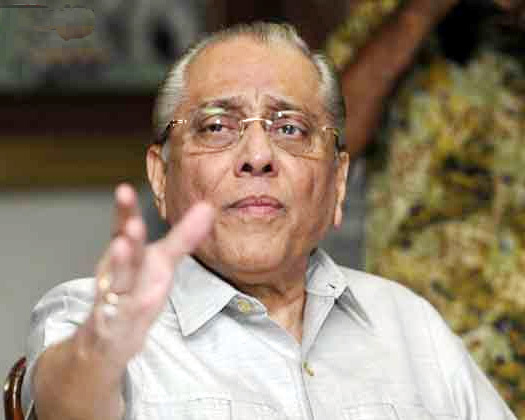 According to the report, BCCI officials will ask Union Finance Minister Arun Jaitley to request Dalmiya to step down. "Technically, Anurag (Thakur) is working both as president and secretary in BCCI at the moment. An institution like the BCCI needs someone who is completely fit. We all know what Dalmiya has done for Indian cricket, but looking at his health, we all feel he should step down. The BCCI will be hosting the ICC T20 World Cup next year and there are many more important decisions to be taken in the months to come," the newspaper quoted a senior BCCI official as saying. "Dalmiya will only listen to Jaitley. Even before the last elections, Dalmiya had made it clear that he would follow whatever Jaitley said," the newspaper's sources said. As per the BCCI rules, the president's term is for three years and a new president can take over only if the current chief steps down and fresh elections are held. Maharashtra Cricket Association president and former board treasurer Ajay Shirke could emerge as one of the front runners for the post in case Dalmiya steps down, the report claimed. Shirke, considered a close confidante of NCP chief Sharad Pawar, has a clean image and is respected by all board members. The report added that many BCCI members were surprised to see Dalmiya's son Avishek running the day-to-day affairs of the board during the working committee meeting in Kolkata a few weeks back.